Even though Eli just had a field trip on Friday, he had ANOTHER one today... and so did Noah. Jerry and I both volunteered to chaperone (he for Noah, and I for Eli). The kids go to different schools, but their field trips were at the same place--The Henry Ford Museum and Greenfield Village (the museum is indoors, and the village is outdoors). I've been to the museum three times this year, so I just couldn't do it again, which is why I decided to do Greenfield Village with Eli. I took Noah there two years ago, and we thought it was pretty boring, but since I went with Noah, I thought it would be fun to do the same field trip with Eli. Over the weekend, I asked my dad to look at my Jeep, because it felt strange when I drove it--almost like it was really windy, and rocking the Jeep a little (except there wasn't wind). My dad checked it out yesterday, and discovered that the ball joints were completely shot--he said I'm lucky they hadn't already broken completely, because that could cause a serious accident. Also, the brake pads and front tires needed replacing. I'm so lucky that my dad is an auto mechanic, because I've saved a fortune over the years with car repairs (I get the "free labor" discount for being his daughter). The parts and tires were an unexpected expense, and along with replacing the weed wacker that was stolen, we were getting hit one after the other with these things this weekend, which is a bummer. Anyway, my dad said that I absolutely should not drive the Jeep until I replaced the front tires, because they were completely bald. That was last night, and since Jerry and I both had to report to different schools this morning, it was a bit of a problem. I drove Joey to doggy daycare and dropped him off at 7:00 this morning (using Jerry's car). Then I went to Eli's school, and Jerry drove the Jeep a very short distance to Noah's school. After we got our "assignments" for the field trip, Jerry and I drove together in his car to Dearborn for the field trips. After that, though, we decided to go out to lunch at La Pita, which was just a couple of minutes away. Jerry had other kids in his group at the museum, so he couldn't leave, but Eli's teacher told me we could leave whenever we were ready. So we decided to have lunch and then go back and pick up Jerry and Noah. Today is the last day of my Weight Watchers week, so I wanted to use up the rest of my weekly PointsPlus. 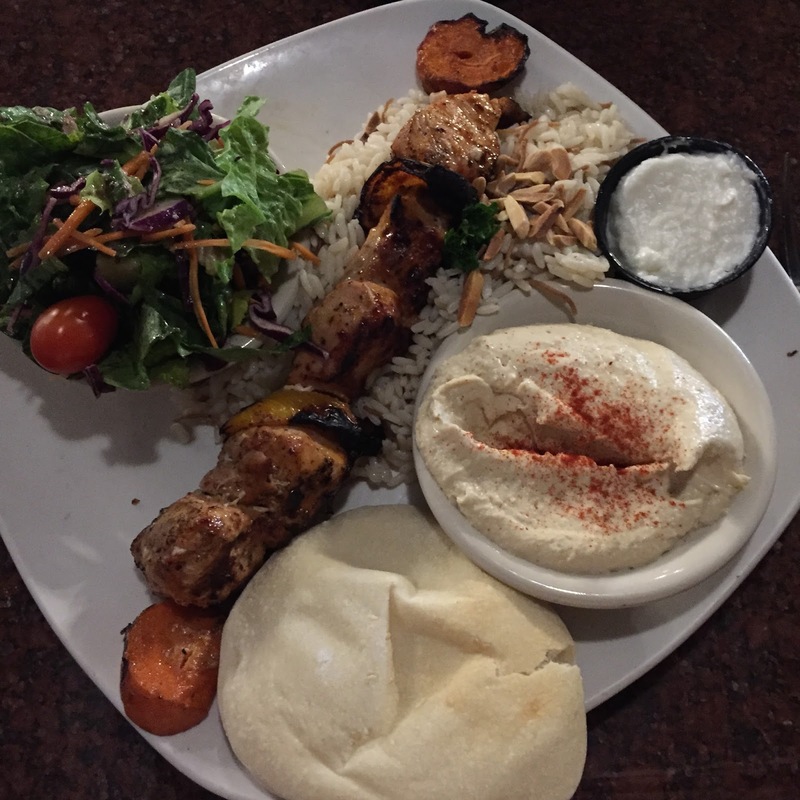 I had 26 PP remaining for the week, so I decided to get my favorite meal there: the chicken kabob lunch. A grand total of 35 PP for the entire meal. That seems so high! But the garlic sauce (the white stuff in the photo) is a huge chunk of that. It's counted the same as mayonnaise (3 PP per tablespoon) because it's basically oil and garlic. I ate about 25 PP worth of the meal. I totally could have eaten it ALL, plus about five more pitas, but I am doing so good being back on track that I didn't want to screw that up! It was really delicious, and a healthy way to spend a big chunk of points (my other option was going to be a flurry). I am THRILLED that I actually made it through two weeks on a binge-free streak and not going over my Weight Watchers Points! Awesome job not going over points and being binge free!!! I loved going on field trips with my kids when they were younger. Last one was junior high two years ago. Congrats on staying in your points goal! Doesn't that feel great? I am back at it on WW and staying within goals this week. Your post has inspired me to stay focused. Every time I read about your La Pita visits it makes me want to go. I work near Dearborn so it's doable but I never make it happen. Looks delicious! 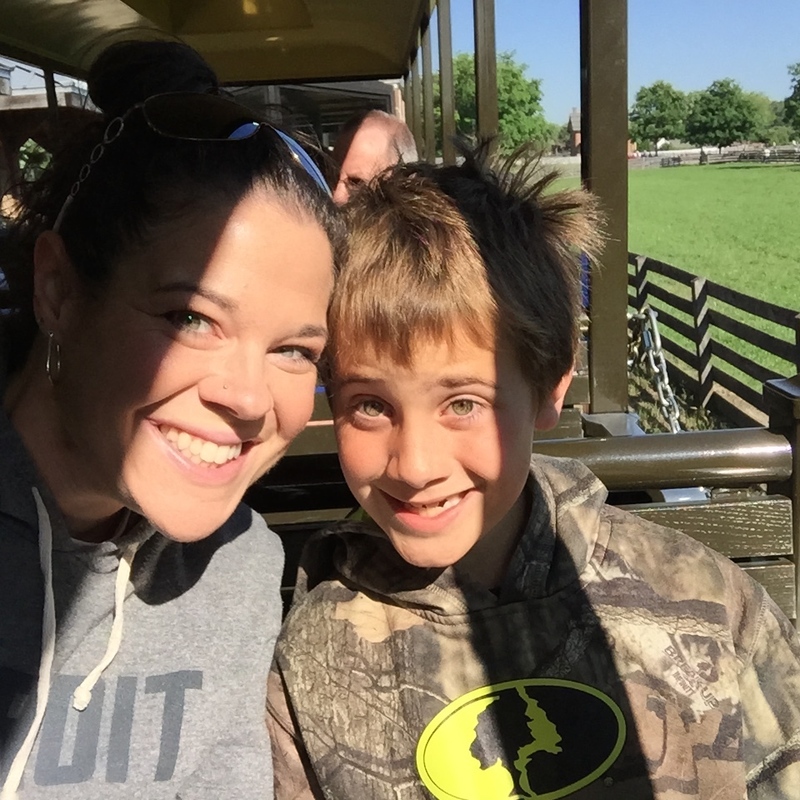 Glad you had a fun time with your kiddo! Great job on being on tract for two weeks with your points. I recently started tracking my food again on myfitness pal and I have done it in the past but always end up trying to make sure I had lots of calories left and other not good things so this time is all about using my calories each day and on good foods not just using extra calories on junk. I recently discovered your blog and love it! Your journey is such an inspiration-- thank you for sharing! Awesome streak! You are so fortunate that your dad is able to do auto repairs; we just had one of the ball joints replaced on our SUV on Monday, and it was not cheap! Congrats on your binge free streak! I know from experience that it's a big deal. Field trips have changed a lot from when I was a kid! Now, they are basically a fun outing rather than doing a day of schoolwork. This trip wasn't related to their class work, but just a trip that all of the third graders do. When I was in second grade, we went to Greenfield Village and our teacher used an old schoolhouse to teach our lessons that day. We had to dress up from that era, and use slates, and had a "dunce hat" for misbehavior, etc. I wish they still did that! It was a fun way to learn. I love that garlic dip! Our local Med restaurant serves it, too. I've learned to make it myself and a little goes a long way, so I like to sautee veggies in it... Like you said, olive oil and garlic... but adds a lot of flavor.